1. Combine first 4 ingredients in medium bowl. 2. 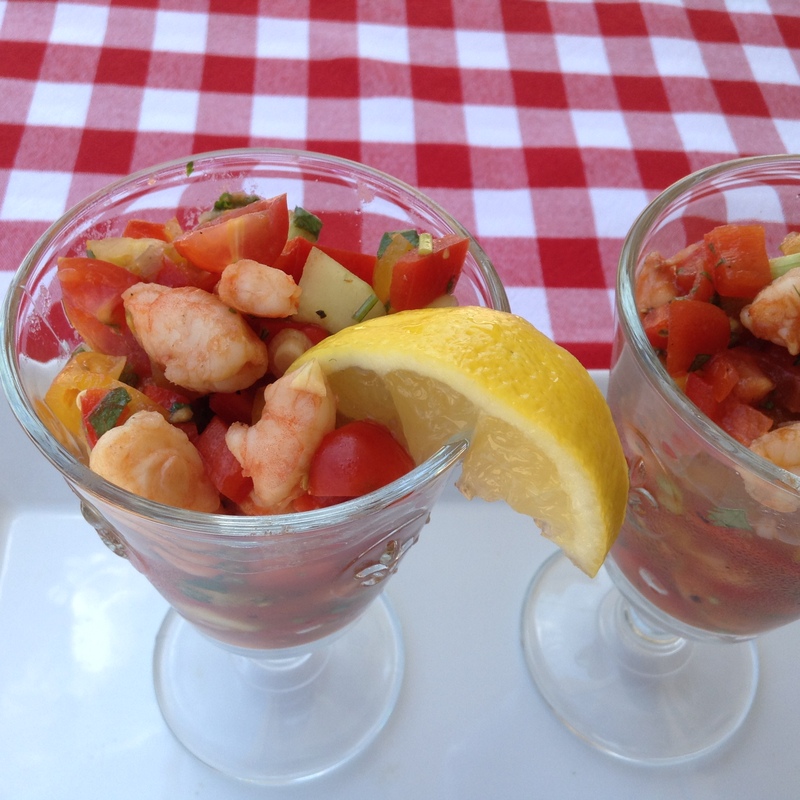 Cut shrimp into fourths and add to mixture; cover and refrigerate 1 to 2 hours. 3. Combine tomatoes, green and red bell peppers, cucumber, green onions, cilantro and jalapeño in large bowl. Add tomato juice. 5. Ladle soup into chilled stemmed glasses. 6. Garnish with lemon wedges and serve with a leafy green salad and rustic crusty bread. Note: adapted from Bon Appetite recipe from several years ago.